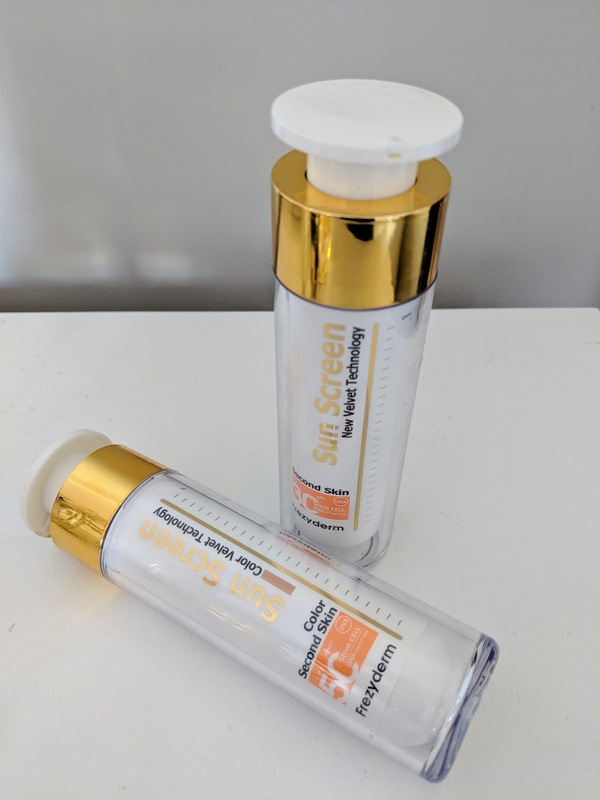 Finding the perfect sunscreen for the face appears to be one of the most difficult things to do for skincare lovers. I've tried lots of different types, but often the ones which don't break me out are too low SPF for the summer. As I've discussed before, I've got really acne prone skin, I develop painful cysts and am very reactive to lots of skincare products. I seem to be particularly sensitive to sunscreen and a tester of the Creme de la Mer sunscreen gave me really painful, deep spots. Another downside to regular sunscreens are the texture - they're often greasy and shiny (not a good look) and leave a white cast on my skin. Frezyderm is a brand I hadn't heard of before. It's apparently non-comedogenic, paraben and fragrance free. Apparently Meghan Markle used to talk about it on her blog The Tig. 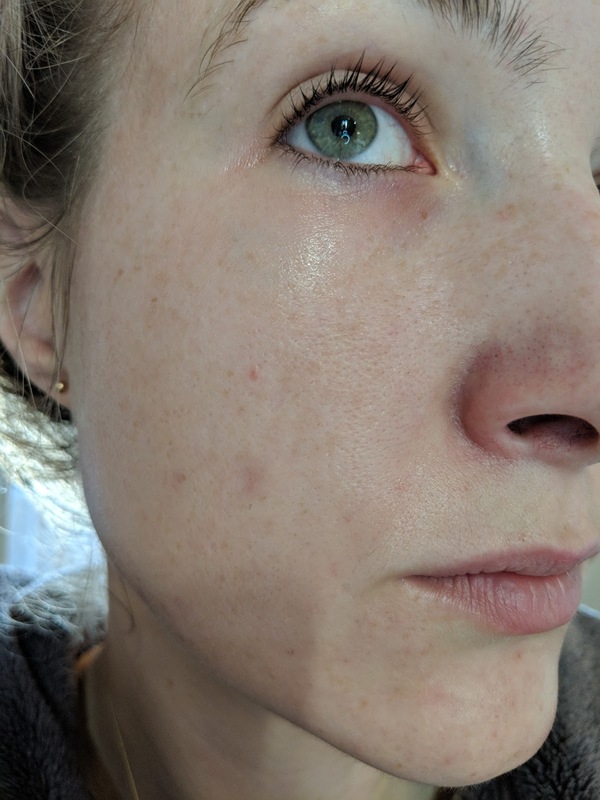 I've been trying Frezyderm for the two weeks. I was nervous to try something which could ruin my lovely clear skin. 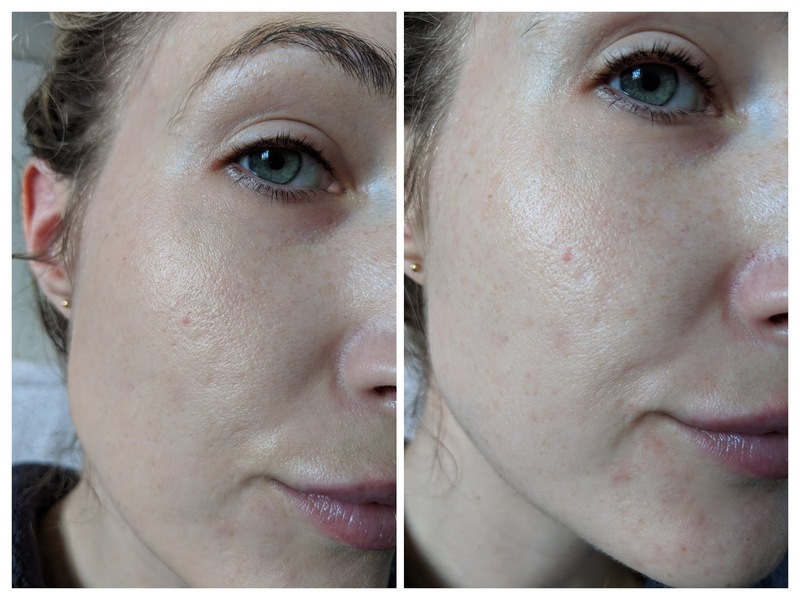 I've been doing so well with caring for my skin and I hadn't had a spot in about 3 weeks before testing Frezyderm. 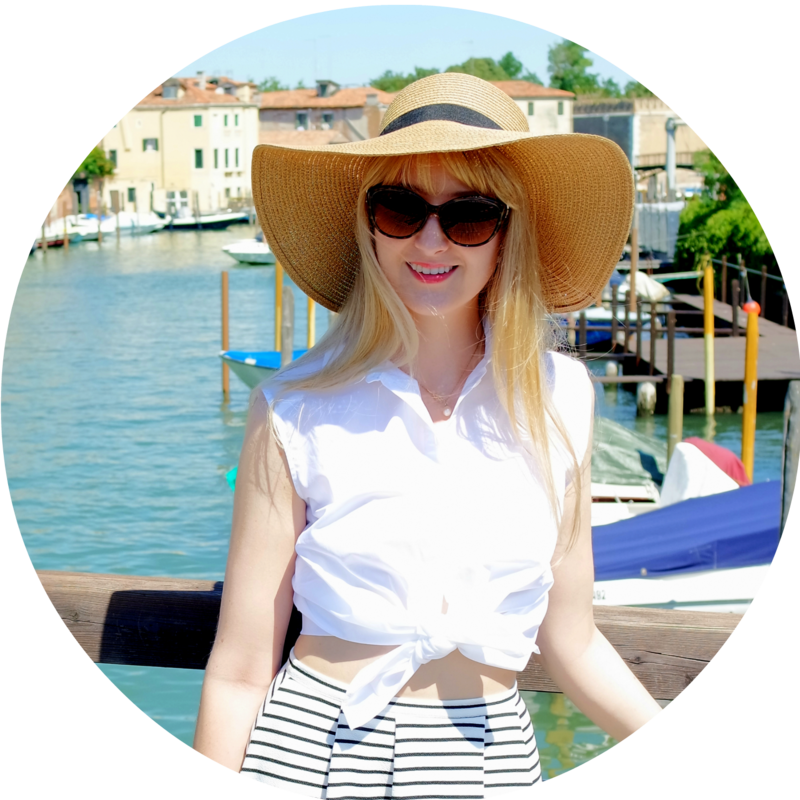 I've been wearing Frezyderm every day in the morning, SPF 30 on cloudy days and SPF 50, which it tinted, on sunny days. 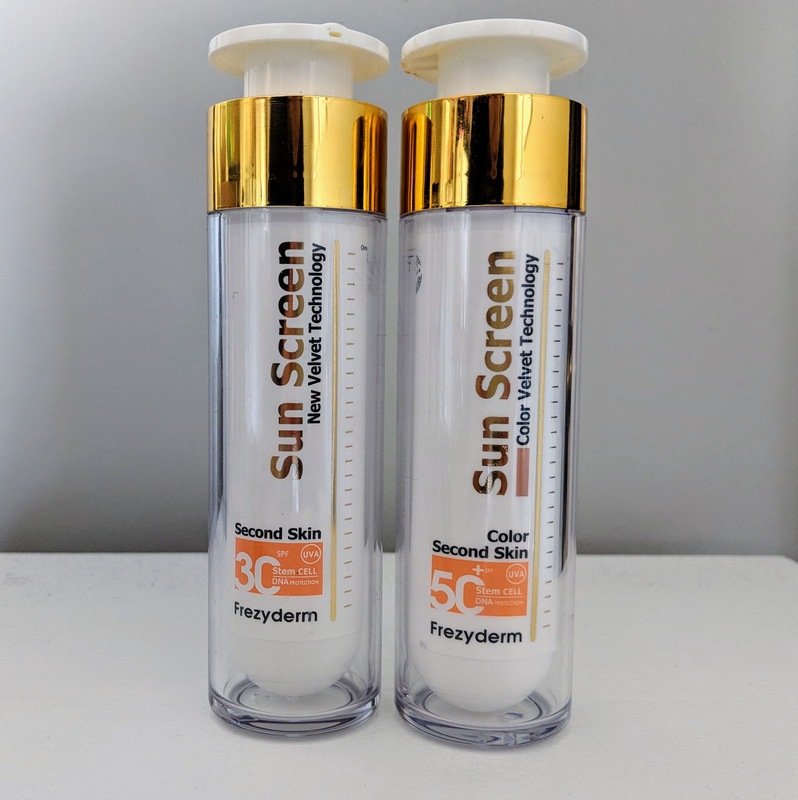 Frezyderm Velvet Face SPF 30 (£19.50) - This one isn't coloured. It has the same texture and consistency as a foundation primer and is a yellowy coloured gel. It applies really easily and has a blurring effect. Again on the left is after using the suncreen and right is before. It's mattefying and slightly blurs pores, and makes a good base for foundation. 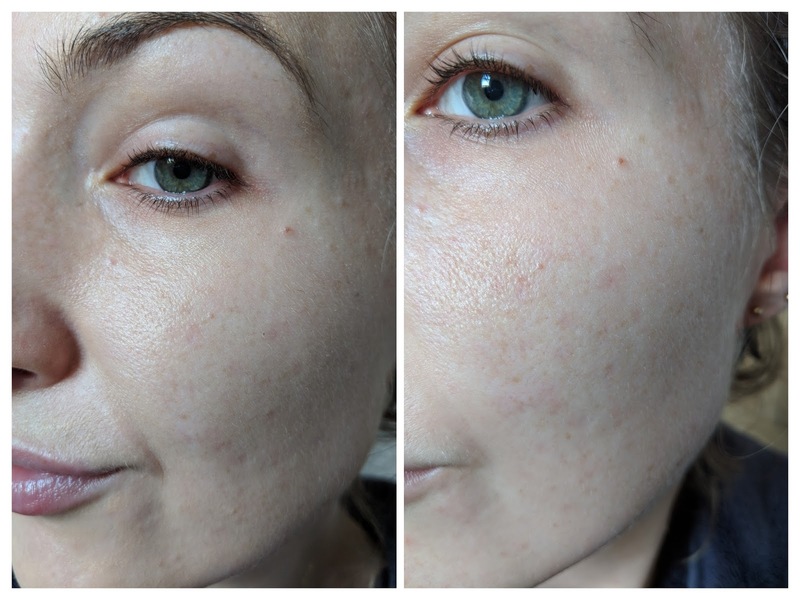 The best part of the review - here is my skin a month ago - as you can see, Frezyderm hasn't given me any more spots! I'm so delighted to have found something I can trust! Overall, I'd really recommend Frezyderm sunscreens and I'd buy them again and again. I'm so pleased to have found a mattefying, nicely coloured suncream. I'd really recommend this to anyone with similar skin problems to me.